More and more people are becoming expats. The number of expats, or people living outside of their native country, has been growing. According to the UN, the number of people living in a country other than the one where they were born was over 240 million as of 2015. But living abroad can be difficult, so why do people do it? And what do they get out of it? 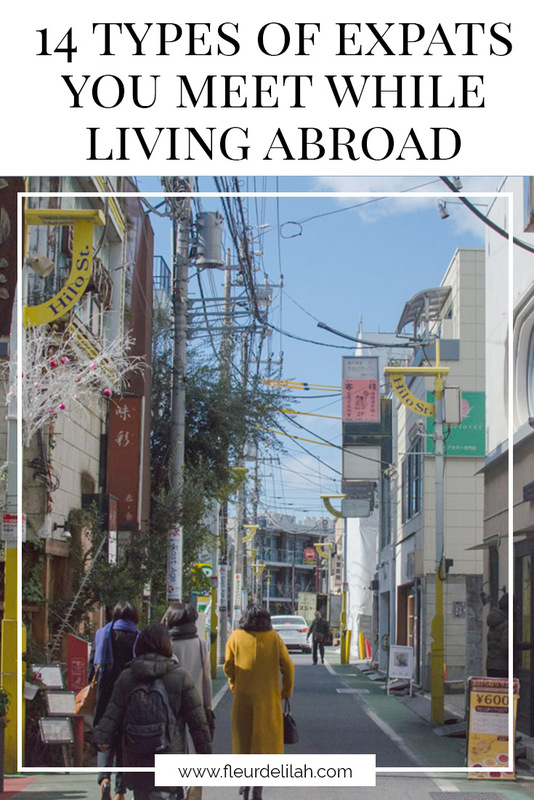 Living abroad for quite some time now, I’ve met many expats and have seen a few similarities in their reasons for moving abroad. So, here is a definitive list of the 14 types of expats you meet while living abroad! This list can be broken down into two categories: length of stay and reasons for staying. Some of you may not think to include length of stay, but covering both is important to get a better idea of an expat’s relationship with the country. A culture expat who has been in their host country for five years has a very different perception of expat life than one who has been in the country for six months. A lifer will have a very different experience than either of them. And as relationships always do, your relationship with the country can evolve and the expat types you identify with will change along with it. So tell me, which types of expat are you? The tourist expat is essentially that — a tourist, a traveler. This type of expat visits a country for a few months on a tourist visa while paying taxes and maintaining a home address elsewhere. They aren’t really expats since they aren’t recognized as residents of the country and haven’t experienced living and working there. Tourist expats visiting for a once-in-a-lifetime experience (like a study abroad) or a chance to “test the waters” in the host country before a bigger move. A wanderlust in every sense of the word, the nomad expat paves their own path. Similar to the tourist expat, the nomad visits a country for a few months before moving to another location. Most nomads work digitally, so they are not tied to any one specific location. Some nomads try to assimilate into the local culture, while others will find a community of fellow nomads in the area. Nomads aren’t really expats of any particular place but rather world travelers. The short-term expat is someone who lives in a country for a few years but intends to return home. Examples of short-term expats include students and foreign assignees. Some short-term expats moved abroad to experience the local culture on a deeper level than possible as a tourist expat, while others have just stumbled into the situation (see number 9). Short-term expats get a good feel for life in their host country but have little care for heavy issues (like politics or equality) since they have no intention of staying permanently. Short-term expats want a life-changing experience. The long-term expat is someone who has been living in a country for many years. These expats have experienced just about everything that life in their host country is like and enjoy it despite any drawbacks. Long-term expats are more interested in the social and political situation of their adopted home since it has a lasting affect on their lives. But something is making these expats hesitate, and they are unsure whether they will stay permanently. Loving life in their host country so much, the lifer expat is someone who has permanently relocated. Many lifers will naturalize if possible and, in some ways, aren’t really an expat. Lifers could have first moved abroad for a number of reasons. Regardless, they’ve chosen their host country as their home. The better-life expat is a person who moves abroad for a better quality of life. Examples of better-life expats include retirees or people moving for better job opportunities. They’re looking for a permanent change, so most better-life expats are lifers. The better-life expats are dream chasers, whether its sipping maitais on the beaches of Nicaragua or seeing their kids graduate college. Not to be confused with nomads, who change countries frequently, the globetrotting expat is a serial short-term expat. Globetrotting expats live in a country for a few years before moving to another country where they will live for another few years. Usually they are contracted workers such as foreign assignees or embassy employees and are transferred for work. The globetrotting expat lives that jet-setting luxury life we always hear about and envy. The following expat is a romantic. These expats move abroad to follow a loved one, and examples include spouses of foreign assignees or people who fall in love with someone of another nationality and move to their partner’s native country. Depending on the situation, the following expat may or may not work. Following expats are chameleons, adapting to any situation thrown at them. With no yearning desire to move abroad, the accidental expat is an opportunist. They never imagined life in another country; they just had the chance and took it. Most accidental expats take advantage of short-term opportunities so they can leave more easily if they don’t like it. But some accidental expats end up falling in love with the country, culture, or people and stay for a longer time. The bubble expat lives in a bubble of their choosing. The most common example of a bubble expat is a person who doesn’t speak a word of the native language and only hangs out with other expats. The other type of bubble expat does the exact opposite; they speak the native language fluently and only hang out with locals. Bubble expats can be anything from tourist expats to lifers. These expats are resourceful in building their network. From language lovers to history buffs, the culture expat is someone who moves to a country because of their interest in the culture. Those who have recently moved to the country can seem out of touch with modern life in the host country. But give them time, and these culture lovers will become huge contributors to the community. For-the-visa expats will do anything to stay in the host country. Their reasons vary; some stay because they love the country, while others stay because they hate their home country. And others are just trying to build a better life. These are the people you wonder why are even living abroad. The I-hate-it-here expat just doesn’t love life abroad. It could be that they don’t like life in a specific host country, or they just really love life in their home country. Either way, these expats aren’t adapting well to life in a different place and would probably be better off moving. With more people moving abroad, more children are growing up in a different culture than that of their parents. The returning home expat is someone who moves to their ancestors’ native country. Returning home expats aren’t really expats since they are originally from the place. 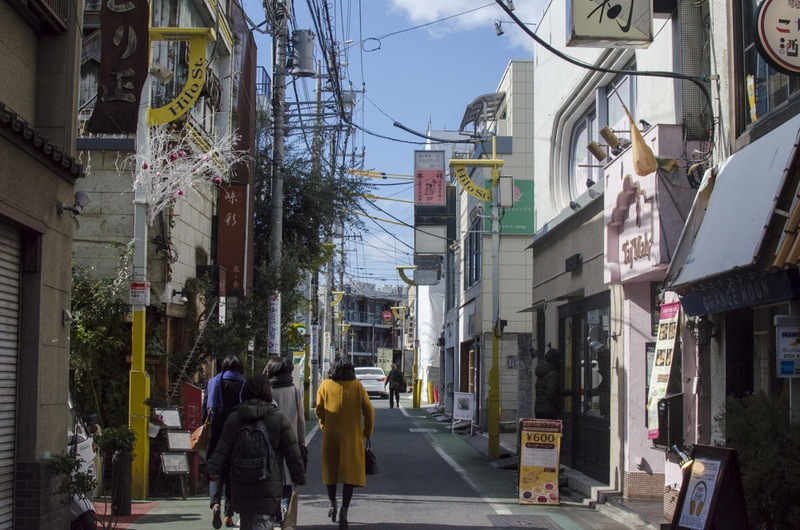 Usually on a journey of self-discovery, these expats want to discover and connect with their culture. Other returning home expats have always been more connected with the country and just consider it home. I was definitely a Short Term Expat when I lived in Dubai, lol! Love these expat types, it’s like a personality test haha and so true. I’m glad you liked it! Being an expat in Dubai sounds like a lot of fun! What about the ‘in it for the money’ expat. I’ve met a lot of them and have been one! Think it often explains the ‘I hate it here expat’, money is the motivator rather than the place. Haha Good point. There is definitely the money motivator! Usually they’re contract or détaché, no? Great list, I’m a bit of a cross between globe-trotting, lifer and culture and love expat life. I’m the following expat…who now is the hate it here expat unfortunately! I followed for the person rather than because I loved the country and I’m really struggling as I was in a better position at home! There’s not many other expats here which makes it harder too, everyone has lived here all their lives and I’m just the odd one that sticks out like a sore thumb! I’m so sorry to hear that! I think following requires quite a lot of strength. You have to be willing to put the other person’s interests above your own. How long have you been in the new location?